Every time I spend over £5 at boots (which is pretty much all the time!) I always get given some sort of voucher. I don't know why but I've never really paid any attention to them before and they've all gone in the bin along with the various other rubbish my purse seems to collect. However, the other day I actually looked at what the voucher was for and as it was for £5 off any No7 products and I had some extra time, I thought I'd actually use it then and there. I don't normally even look at No7 make up, as it's just a bit far out of my student price range, but with a whole £5 off it would have been a crime not to get something! I went straight for the nail varnishes, as I'm trying to expand my collection at the moment and plus they were only normally £7, meaning I'd be paying just £2 for a high quality polish- what an absolute steal! After much deliberation (I'm terrible at making quick decisions!) 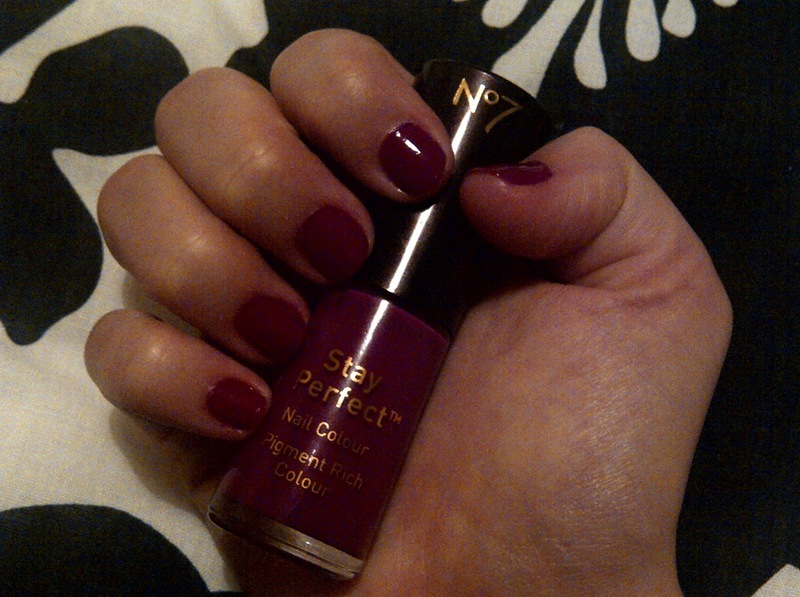 I went for stay perfect nail colour in Foxglove, as I only own one light purple nail polish and I wanted a more plum coloured richer shade. And I absolutely love it! I normally go for Rimmel varnishes, but I think I've been converted as one coat provides complete coverage, the nice thick brush means you can apply a coat with minimal applications and it lives up to it's stay perfect claim, as it was ages till the first chip appeared. £7 would usually be pushing it in terms of my budget for a nail colour, as Models Own is only a fiver from boots, but with these vouchers I can certainly afford to build up a good No7 collection! Have you been taking advantage of these No7 vouchers? What's your favourite nail varnish collection? I have a £5 off voucher in my purse because i didnt really want anything from no 7, think i might have a look out for this polish though, love the colour of it! Love this! 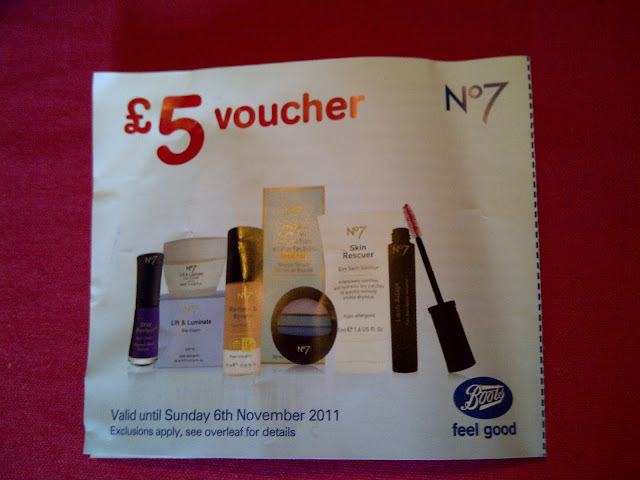 I have loads of No7 nail varnishes cos of these loverrrrllyyyy No7 vouchers :) They're really good actually! That's a lovely nail polish color! hehe I did a post on no7 products too as I've also had sooo many vouchers this time- these nail varnishes are such good quality aren't they, I love the colour you chose :) They've deffo become my favourite nail varnish! Love Boots products but never have tried their nail polish!